If you believe in something, don’t just let this go because nobody else agrees. 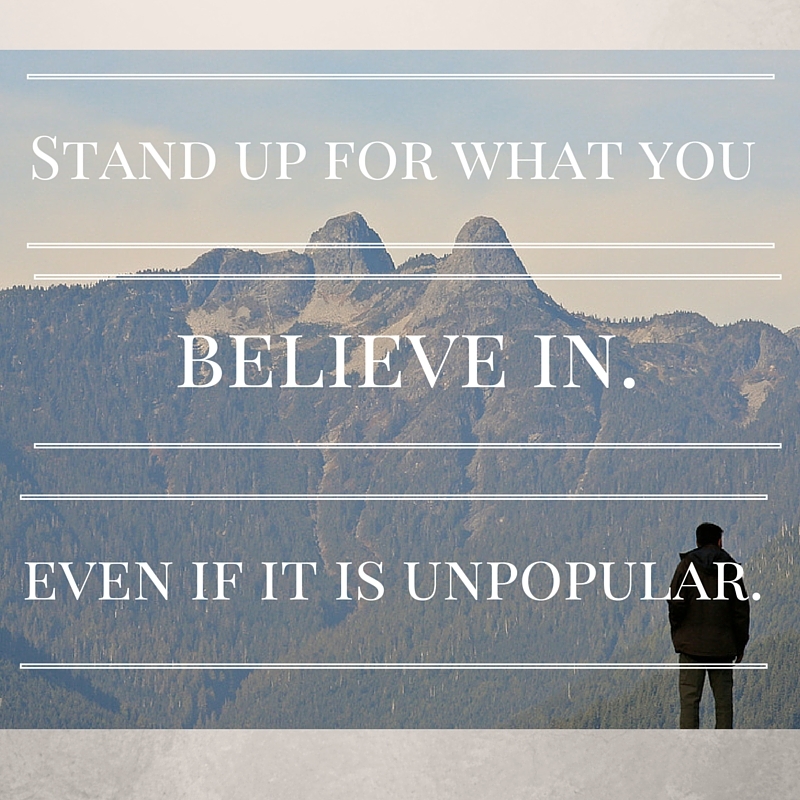 People will respect you far more if you stand up for yourself and what you believe to be true. There’s no need to argue or try to change others’ opinions, just stand firm. If you constantly deny your inner values, you are telling yourself that your beliefs are not worth anything. Well, they are and it’s better to stand up for them and stand alone, than to go against your inner self and falsely stand with others.